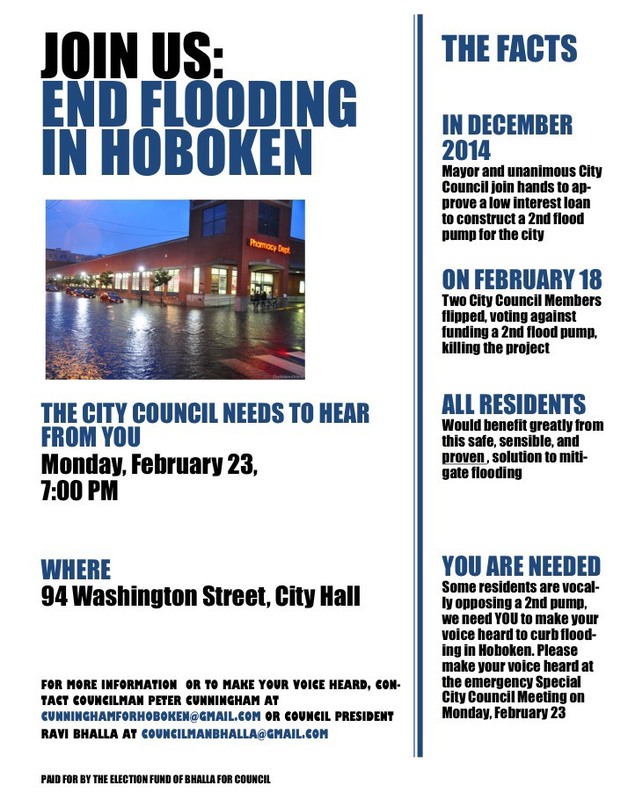 We need six council votes on Monday night to fund a flood pump that would curb flooding in western Hoboken. Please attend the Council meeting on Monday night and make your voice heard! Councilman Cunningham and I will be out in Hoboken this weekend helping spread the word about the meeting by distributing the attached flyers. Please spread the word and attend the council meeting on Monday if possible. For more information regarding the pump, please click here. I hope to hear from you or see you Monday night, Feb. 23, at 7 p.m. in City Hall.